The result of centuries of sporting evolution, rugby has become a worldwide test of physicality and athleticism. With roots planted deep in history, the game has progressed from early Chinese and Japanese versions, to a Viking Age hurling contest, to a Middle Ages village-wide tournament centered around an inflated pig’s bladder, to an English cross-country mob football game, and onward. It’s said that the deep roots of the version closest to the modern game can be traced back to battles between villages in England. With upwards of two-thousand participants, men and women of all ages would meet at noon to play. The premise of the game was to get the ball, made of an animal bladder or ball of rags and representing the opposing village’s king’s head, back to a village’s own goal posts. The means of moving the ball was a free-for-all. It could be kicked, carried, thrown, hit with sticks, launched from a horseback sword-wielding player – it was a rule-less game. People were brutally injured, paralyzed, mutilated, and even killed during these duels, played often as a means of settling a feud. Flashback to 1823 on a soccer field in England. During that time, the boys at public schools were rebelling constantly, and sports were established to give the boys a place to channel their aggressive nature. 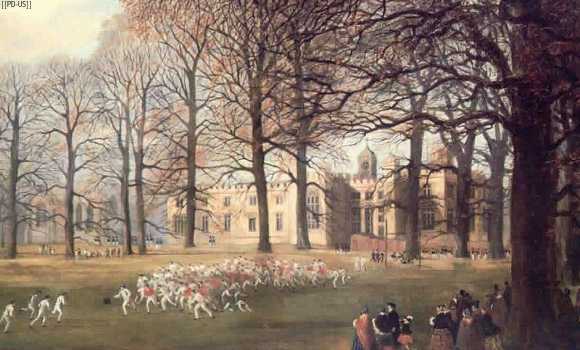 During a soccer match at Rugby school in Rugby, Warwickshire, student William Webb Ellis threw out the rulebook, picked up the ball, and ran with it. It’s said that Rugby school adopted this version of the game because they had the wide-open, green field for tackling and hard hitting – something the other schools’ hard surfaces did not allow for. So, while other boys were channeling their energy into what would become widely known as soccer/football, Rugby school formed their own sport. The popularity of the game grew as the students of Rugby school went on to universities and formed playing clubs. In 1863, a rulebook was drawn up and officially accepted. At that point, each side played 20 athletes who could only score by kicking goals of one point each. Hacking, kicking at opposing players’ ankles and knees, was allowed. This is where the controversy arose. And it spread to other issues as well. Should scoring be allowed under the crossbar as well as over? Could the ball be carried for a score? Was hacking to be allowed, and further, what about tackling? How long should players be able to fight in a scrum – until one emerges with the ball? Should players line up facing each other and battle it out? The answers divided the game into two separate sports: soccer and rugby. In 1871, the Blackheath club laid down the law of the carrying game and ensured everyone was on the same page of the rulebook. The new rulebook was established under a new enforcer: The Rugby Union. 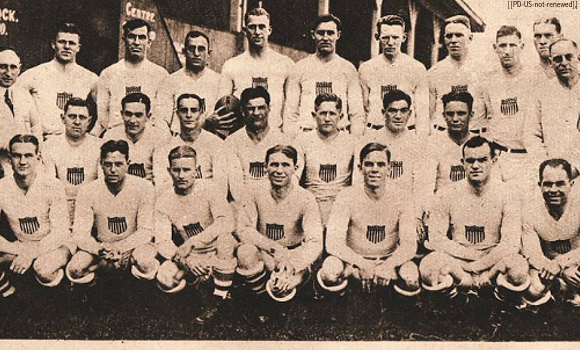 After its establishment, the Union helped the sport to spread prevalently across the world – but not without scandal. Umpires, as they referred to referees, were called out for picking favorites in international matches. One in particular awarded England a try vs. Scotland, a decision that resulted in hostility to say the least. As a result, a major governing body was formed to promote fairness and sportsmanship in rugby. 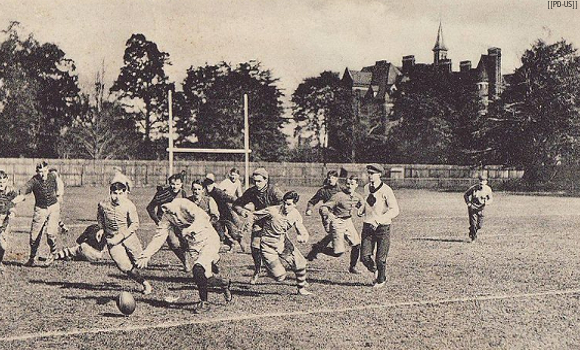 In 1890, The International Rugby Board would oversee the game all over the world.